Travel by 4×4 across the mountains and desert of the surroundings of Sidi Ifni. Explore the impressive red rock arches of Legzira and let yourself be enchanted by a wonderful sunset or discover the old French Forgein Legion Camp Fort Bourjriff in the middle of nowhere. Enjoy an adrenaline rush sandboarding down the dunes of Plage Blanche. 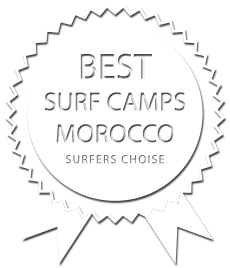 Meet camels and explore the rich flora and fauna of South Morocco.